A world only lit by gaslight. 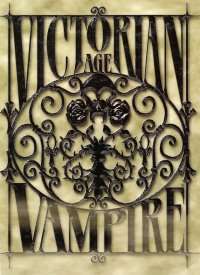 An epoch of literature that "exposed" vampires to the world. An era of wealth, imperialism, industry and change. For the Kindred, these are the halcyon nights: the last Romantic period of their prominence before the encroaching cynicism of the modern nights pushed them forever from the eyes of suspicious mortals. It is a glorious fin de siecle, a brief period when the Damned truly thrilled to be undead.